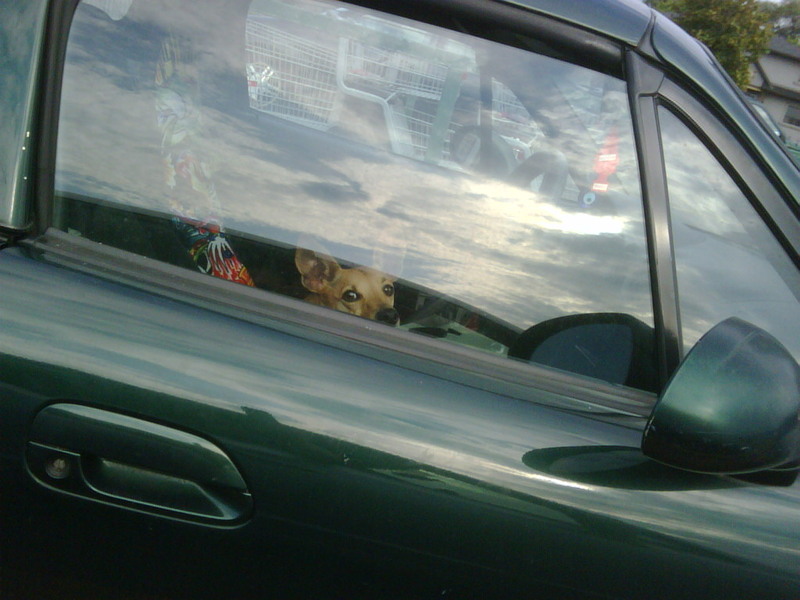 Cute little doggy checking out who parked next to him in the Fortino’s parking lot. Don’t worry it was not too hot for him to be in there. He had the most forlorn sideways glance. Not a bark or whine. Just a deep stare.